Bask in the beautiful Key West sunset across the water from aboard a top of the line catamaran sail! 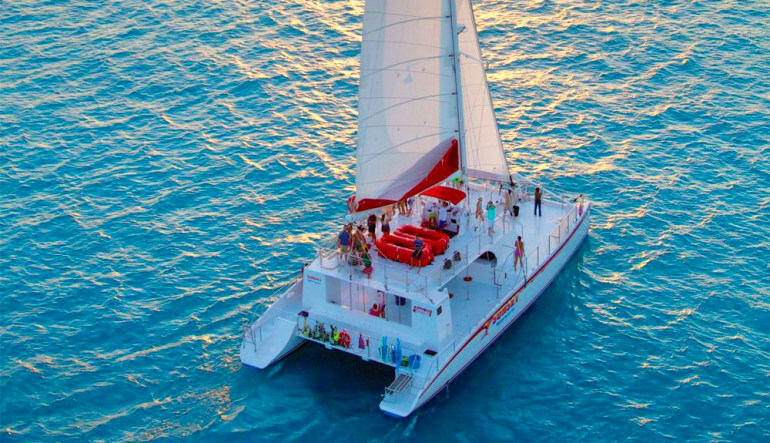 Sail through the coastal waters along Key West as you enjoy the sunset aboard this catamaran sail! The background to this unparalleled view is inclusive of live music and refreshments to compliment an evening of picturesque scenes. All aboard! When the catamaran takes to the open water relax on deck with a complimentary beverage or tropical bite while you seek out the perfect spot onboard to watch the waves roll by. There’s no better seat to see the world famous tropical Key West sunset you’ll be treated to. 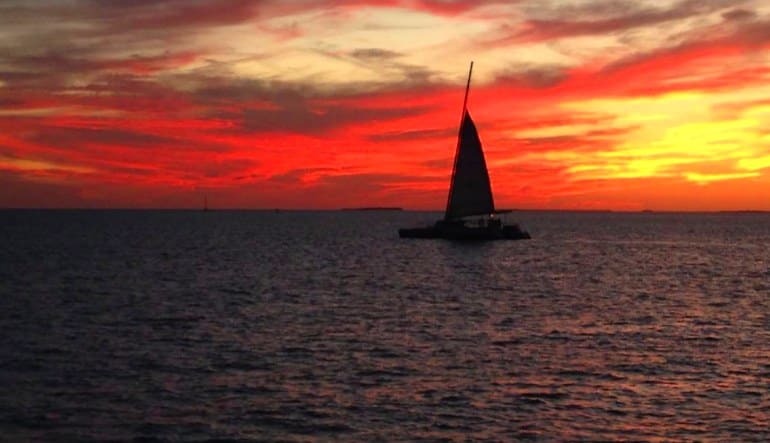 Book now for the best way to experience the majesty of Key West's world famous sunset today!